Metal recycling is great for the environment — and can turn your trash into treasure. Metal Recycling: What Can You Recycle? Yes, almost all metals can be easily recycled. You can recycle scrap metal, aluminium cans, steel rods — and even coat hangers! Some metals can go in the recycling bin, and larger metals may need to go to a metal recycling center. Scrap yards want your scrap metals! But do you know how to identify which metals you have? It’s easier than you might think. All you need is a magnet. If the magnet sticks to the metal, you have a ferrous metal such as steel or iron. These metals aren’t worth quite as much as non-ferrous metals, but most recycling centers or scrap yards will make sure they’re recycled correctly. If the magnet doesn’t stick, you have a non-ferrous metal which includes aluminium, brass, bronze, stainless steel and copper. Generally speaking, non-ferrous metals are far more valuable, and metal recycling facilities and scrap yards will often pay for them. The price you could earn from metal recycling depends on how much metal you have — and what type it is. Metal recycling prices are based on weight, and vary from place to place. Shop around by calling scrap yards and recycling centers in advance to get a casual idea of prices. Copper is the most valuable metal, so if you have alloys, wiring or pipes that are about to get trashed, save them! Brass is the second most valuable scrap metal, followed by steel and aluminum. If you have a large quantity of scrap metal from a construction job or a remodel, contact a scrap yard to see if you can sell it. 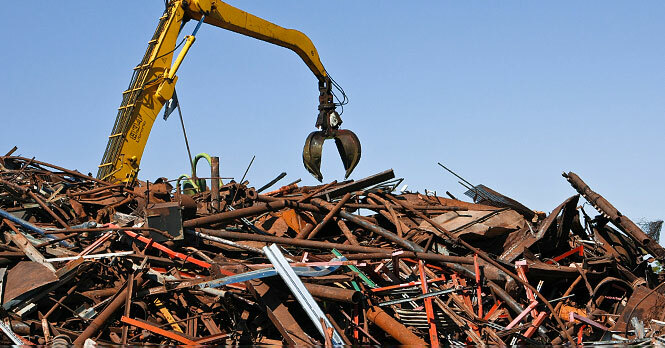 Some scrap yards and services will even offer to collect your scrap metal for you. If you have a small amount of metals, head over to your local recycling center. Most recycling centers offer metal recycling. Check your local yellow pages or search online to find metal recycling centers and scrap yards in your area. "Almost all metals can be easily recycled"
Minimalism isn’t about “going without” — it’s about getting more for less.